The mPCID operates the same as the PCID only of a smaller size. The mPCID features a touch screen controller to manage the custom-made handpiece. 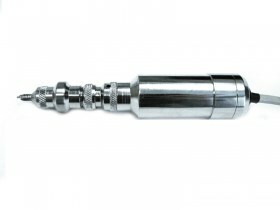 The handpiece are used in conjunction with our new serrounded punches, which are much sharper than any punch available. All craftsmanship is performed in the United States of America. The touch screen allows for ramp-oscillation, oscillation, ramp-rotation, rotation, and roto-oscillation. 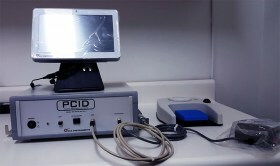 The mPCID touch screen allows physicians to set precise extraction parameters quickly and easily with no knobs to turn. It is both patient and physician friendly. 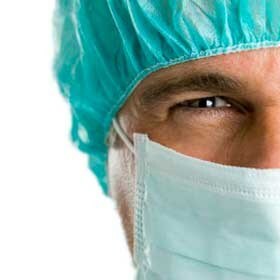 While the controller is the brain, the touch screen sends a specific message to the handpiece. As the controller variables change, the controller modifies the message to the handpiece. 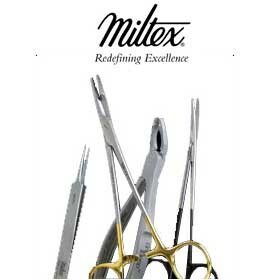 Each handpiece is individually manufactured under exact standards. Once manufactured, every handpiece is checked by our engineering team to ensure it meets every standard of our design. The handpiece is equipped with a carefully manufactured motor and it is engineered to respond to the variables set by the controller operator from the touch screen. 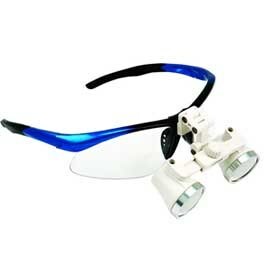 The unit is battery powered and comes with two rechargeable batteries. There is also a battery charger with each unit. 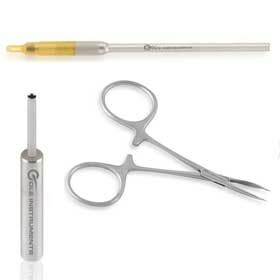 The Cole Isolation Technique (CITTM) is a method of follicular unit extraction that is dependent on a precise depth control mechanism to minimize the probability of follicle injury or transection. The Cole Isolation Technique (CITTM) has the lowest rate of follicle injury and is the fastest method of manual follicle extraction. Furthermore, manual (CITTM) is faster than any other reported rate of mechanical extraction. 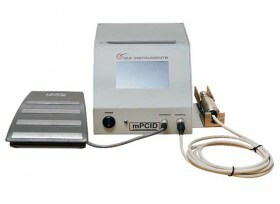 The minimal depth control mechanism available with manual (CITTM) is also available on the mPCID. This ensures the lowest risk of follicle injury or transection available from a mechanical device. The mPCID has the lowest reported rate of follicle transection of any mechanical device. Furthermore, the rate of extraction with the mPCID is approximately twice that of manual (CITTM) extraction. The mPCID utilizes the world's sharpest punches. These punches have the thinnest walls available. 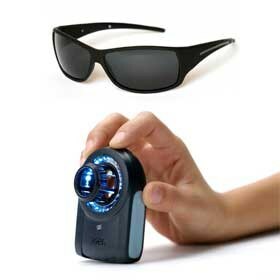 They also have a serrated tip that minimizes the punch contact surface on the skin at any given moment. The combination of the thin wall and serrated tip of these Serrounded punches make them the ideal punch for use in mechanical FUE. The Serrounded punch is exclusively available for use with the mPCID. Low friction reduces the force necessary to cut the grafts. 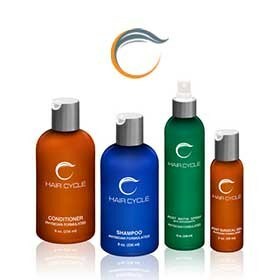 This reduces fluid motion of the skin and the follicles. Less force helps keep the entire follicular unit inside the punch and out of harm’s way. You will find the extensive variables, craftsmanship, minimal depth control mechanism, and our exclusive punches all integrate to make the mPCID the world’s most doctor-friendly mechanical extractor available anywhere at any price. 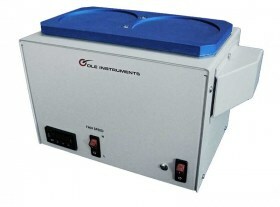 The mPCID is exclusively available through Cole Instruments and their distributors.